A few weeks ago we had a Hello Fresh box delivered and I was really impressed with the meals that we made. This one on particular we all really enjoyed so I thought I would share it with you all. I’m not usually a big fan of leeks but I have to say that the creamy leeks might just be my favourite part about this meal, delicious! Pop a baking tray with a glug of oil into your oven to heat up whilst you chop the potatoes up into 2cm chunks. Strip the thyme leaves from their stalks. Put the potatoes on the tray with a pinch of salt and half of the thyme leaves. Cook for 20-25 minutes or until golden. While the potatoes are cooking, prepare your leeks. Remove the root and dark green tops from the leek. Quarter them lengthways then chop into 1cm chunks. Peel and grate the garlic. Pop the butter into a pan over medium heat and add the leek. Cook for 8-10 minutes or until soft. Now it’s time to prepare the fish. Line a baking tray with paper and place the fish skin side down. 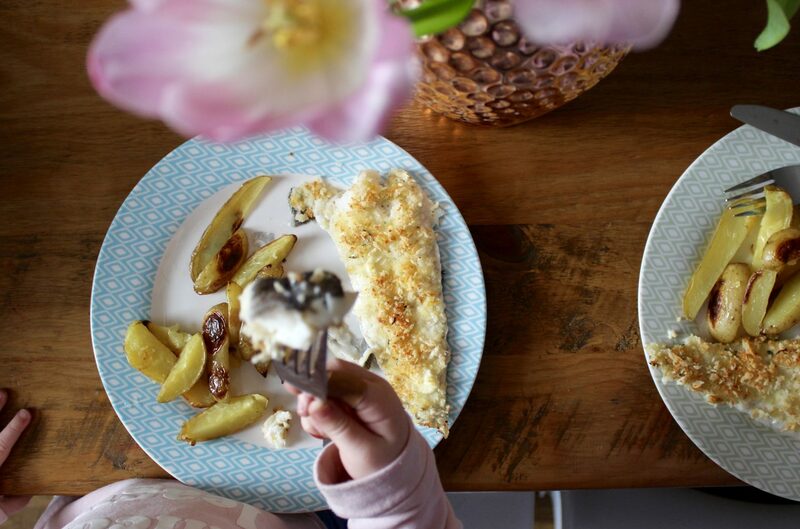 Season with salt and pepper and spread a teaspoon of creme fraiche onto the flesh side of each fillet. Grate your cheese and mix with the rest of the thyme, panko breadcrumbs and a glut of oil in a small bowl. Grate the lemon zest and mix well. 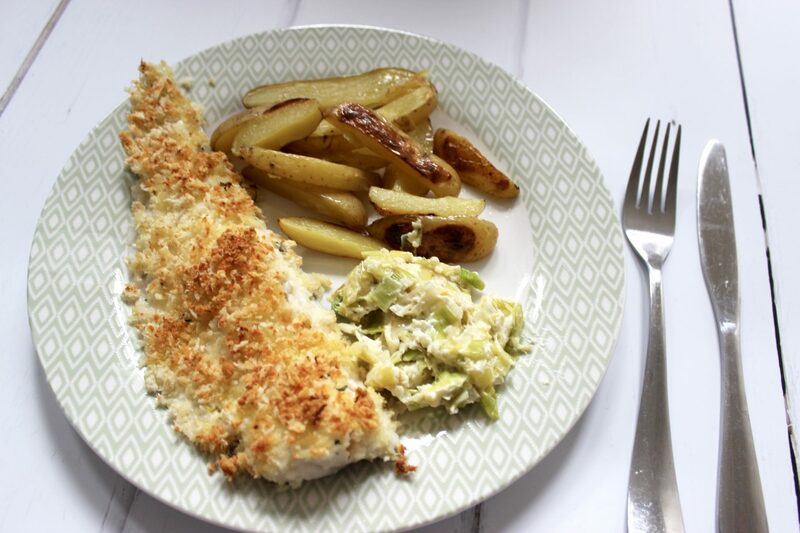 Sprinkle the cheesy crumb over the creme fraiche and pat down gently to make sure the mixture sticks to the haddock. 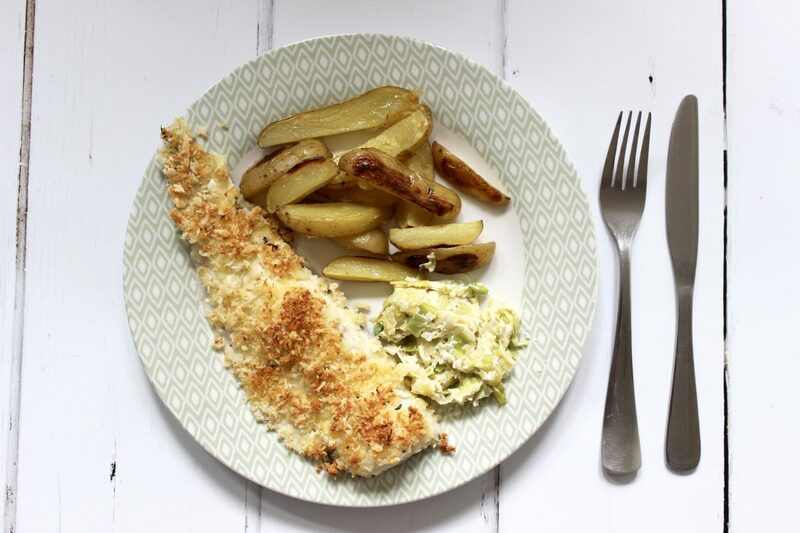 Increase the oven temperature to 220 degrees and bake the haddock on the top shelf for 10-12 minutes. Return to your leeks and add the garlic, cook for 1 minute. Season with salt and black pepper and then add the remaining creme fraiche. 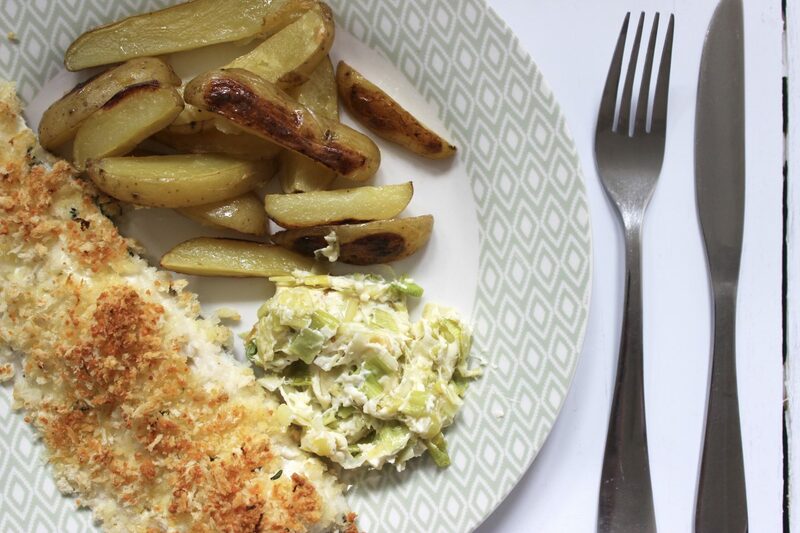 When the haddock is golden, remove from the oven. Serve with the potatoes, creamy leeks and wedges of lemon. What do you think to this meal? Does this sound like something you would make for your family?